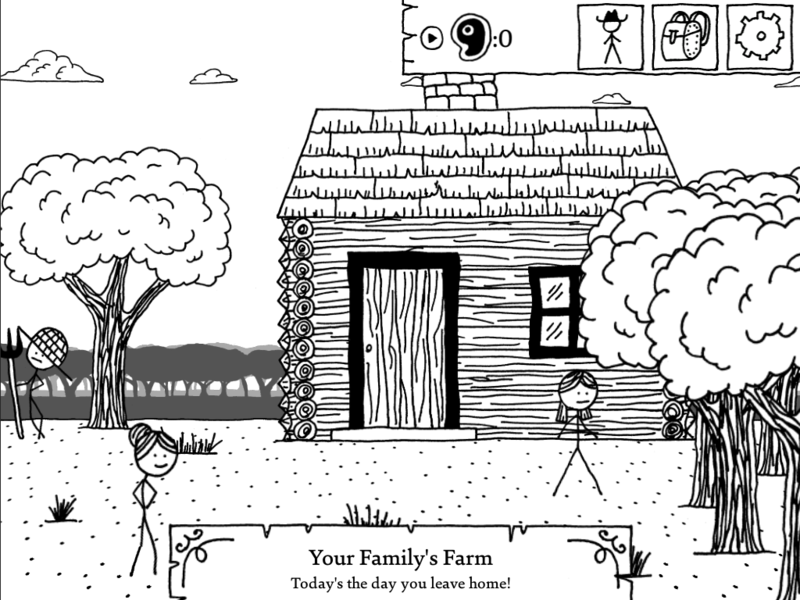 Kingdom of Loathing developer Asymmetric has always excelled at demanding one's attention. When the email appeared in my inbox, the first phrase I saw was "Stick figures meet Skyrim." I don't know about you, but the moment I read that phrase my first thought was "dear god, I have to try this game." It is a bold yet hilarious statement, and I was equally overjoyed and unsurprised to see that it was coming from Asymmetric. The new title shares much in common with KoL, but clearly builds on the charming formula that made it an instant hit in my heart. 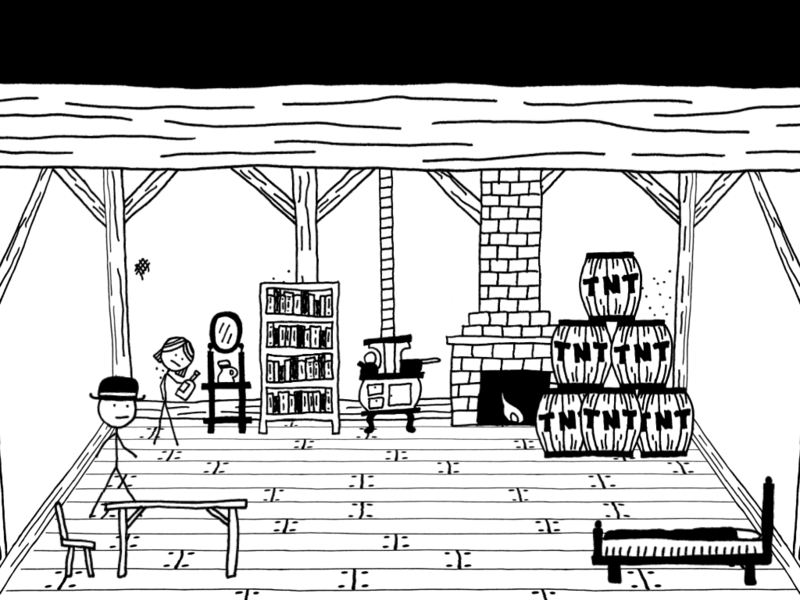 The upcoming game, West of Loathing, takes all of the best parts of KoL, repackages them, animates them, and tosses them into the wild, wild west. 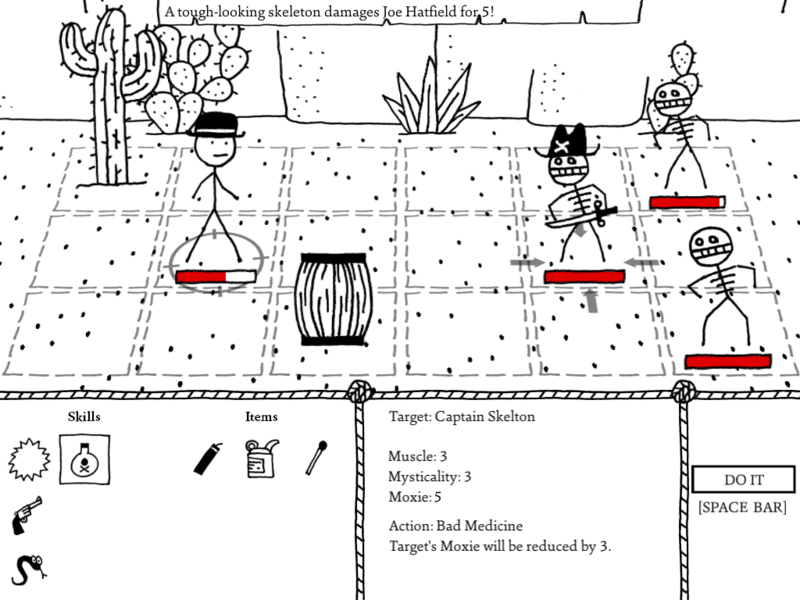 The game itself is, as expected, intentionally crudely drawn, but it's easy to tell that there is a lot of depth and detail behind the silly western stick figure characters. The punny, over-the-top humor is still present, and it's still delightful and enjoyable in its absurdity. You'll wake up one day, a bold adventurer and one of three different character classes - Cow Puncher, Bean Slinger, or Snake Oiler - and will bid farewell to your parents and brother. Much of the gameplay is focused on exploration, and the addition of animation to the newest Loathing title allows for more meaningful environmental interactions, which often leads to the discovery of new locations and items. Returning to previously explored areas after discovering new ones can lead to new tasks, or even new allies. 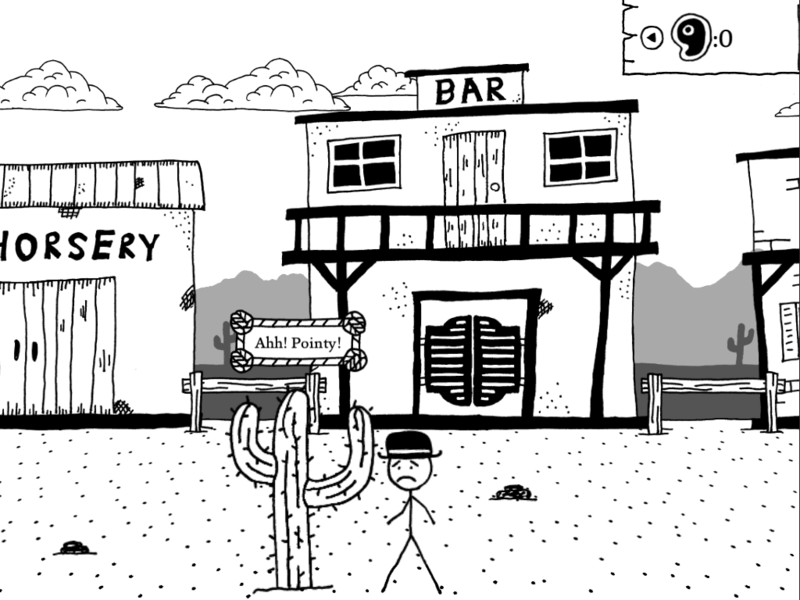 In West of Loathing you'll be point-and-clicking your way through the wild west, and it's easy to look at the art style and have low expectations. That would be a mistake. 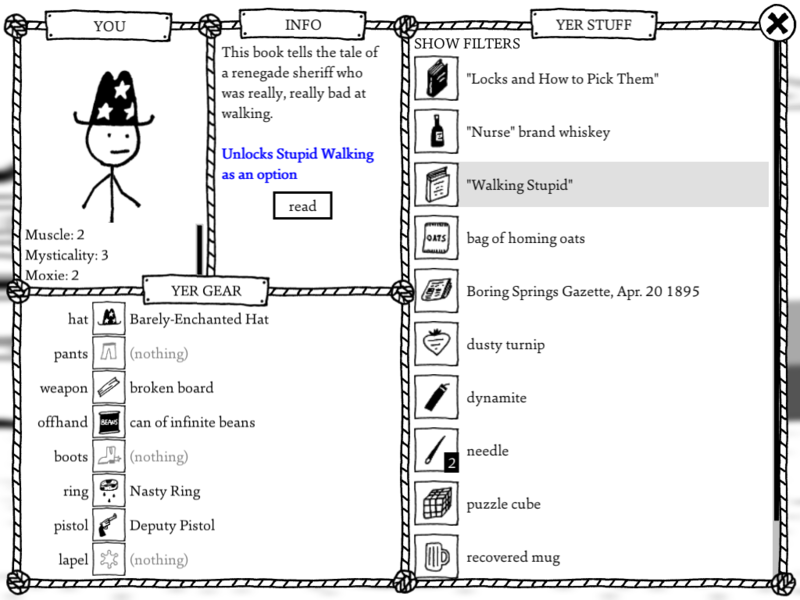 In truth, West of Loathing is a legitimate RPG, and as such it will have you doing all of the things you'd expect from a standard RPG - picking a class, leveling up, collecting gear, and developing your character. 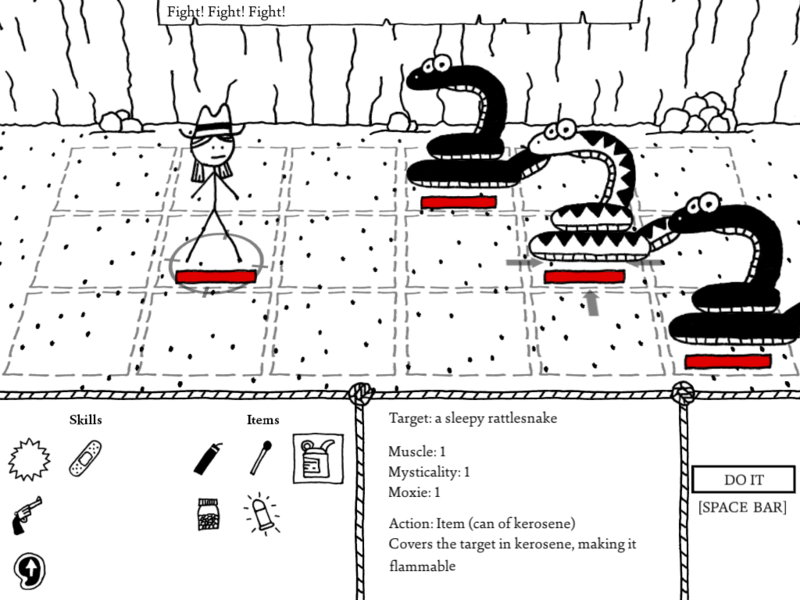 Combat is turn-based, but you have to touch your enemies in order to initiate combat, and the enemies are varied enough that sticking with a single attack throughout the game won't suffice, even among similar types of enemies. 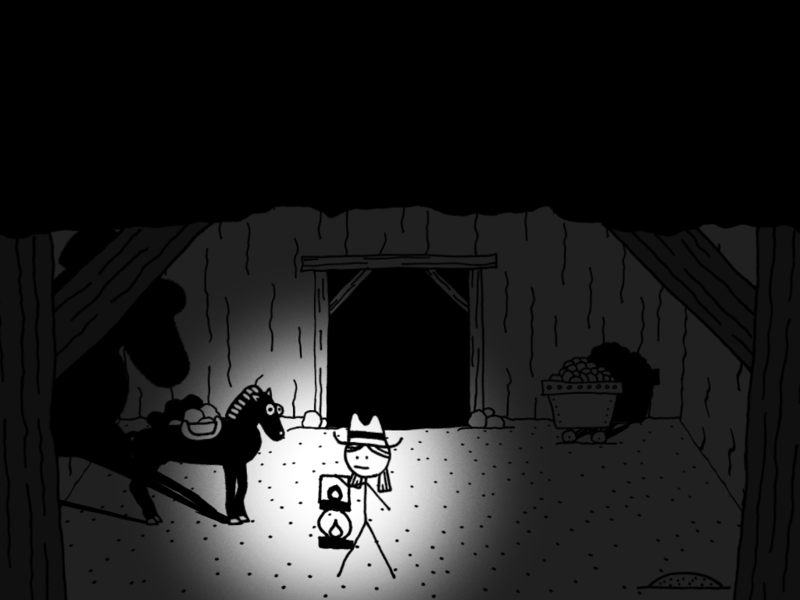 Tasks available during the demo included retrieving a stolen jail cell door and recovering a runaway ghost horse, so the lightheartedness of the game is never entirely lost. The game's real charm comes from it's ability to be so incredibly weird in all of the right ways. The puns never seem to get old, and even when only experiencing the first 15 minutes it was obvious that a massive amount of care and depth was inserted into the title. When you make a potentially questionable decision, the game will issue a series of prompts that get progressively more over-the-top - for example, if you randomly decide to dive elbow-deep into a jar of spit, you will know full well how disgusted your character is and will have the ability to decide whether or not you want to push through the eye-burning nausea because maybe something is under all of the used chewing tobacco. 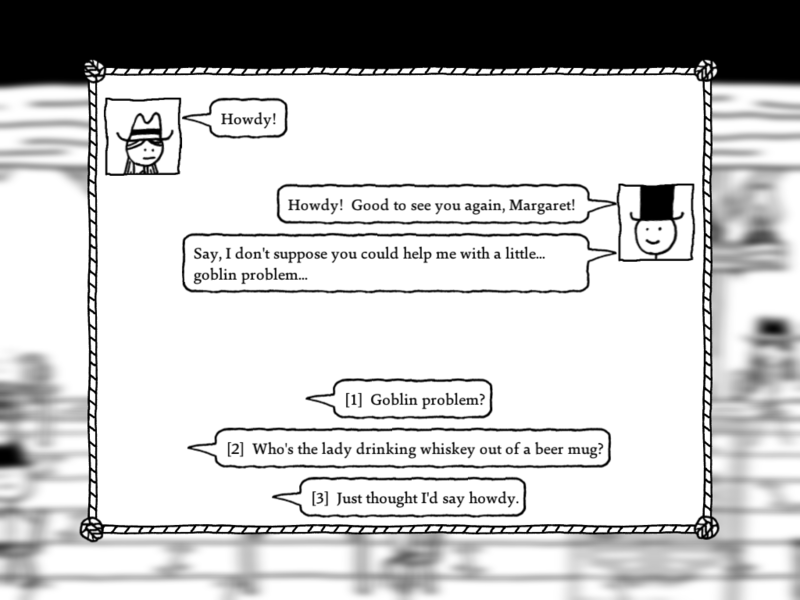 West of Loathing's most endearing quality is in how it manages to balance silliness and simplicity with a true RPG experience rooted in exploration and discovery. Everything about the way the game is put together feels simultaneously disjointed and cohesive, and people will either love it or hate it. I personally cannot wait to get my hands on the final product.